Charlie Chaplin | Cinema, etc. Version reviewed: The Park Circus UK Region B/2 2010 Blu-ray/DVD dual format release as part of The Charlie Chaplin Collection. Considered by critics as not only one of Chaplin’s greatest films, but also one of the greatest films of all time, City Lights is a wonder to behold. Fantastic from start to finish, equally hilarious and touching, wonderfully scored and acted, it’s a film that needs to be seen and the continued praise is more than justified. The (spoiler-free ) storyline goes something like this: A tramp (Charlie Chaplin) falls in love with a beautiful blind flower girl, who is in dire financial trouble. The chance befriending of a wealthy and frequently drunk man plus a series of money-making schemes play out as the tramp attempts to find the money that will help the girl’s family and pay for an operation to fix her blindness. The storyline is the perfect basis for some hilarious moments, including a legendary boxing match and the following clip I found on YouTube. Is there a more hilarious way to introduce his most well-known character? It’s not just a series of old-fashioned silent pantomime comedy routines, though. I’ve seen a handful of Chaplin’s most popular films and anyone who has even dipped their toes in will know that he’s way more than just a performer of slapstick comedy. There are moments throughout his films that really pack an emotional punch, with his tramp rarely getting a fair deal in life. Equally, when it comes to romance, Chaplin is nothing short of astonishing, never more so than in the final sequence of City Lights film. Despite the film being over 80 years old, I’m going to avoid any spoilers. Just watch it. The film is classed as a silent film and for the most part it is, though there are some parts where the audio and visuals synchronise up, most notably when the tramp accidentally swallows a whistle. 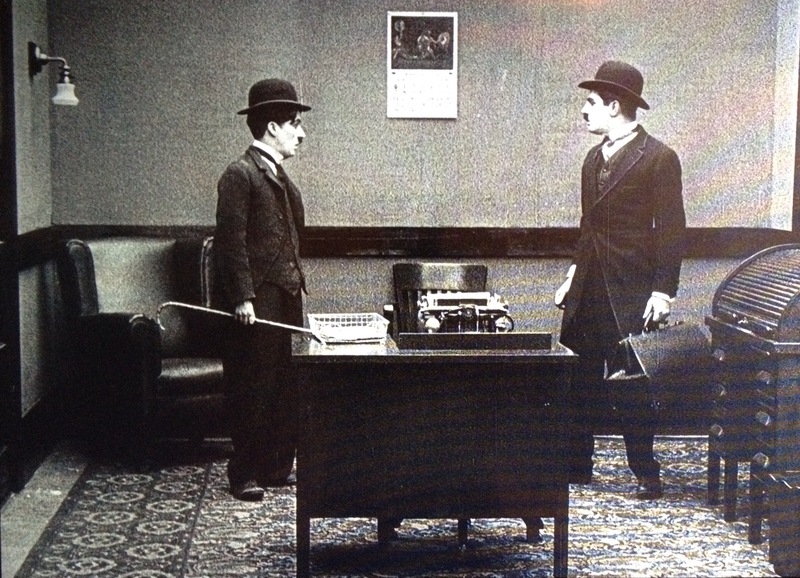 I’m not going to sit here and claim to be all-knowing about what is a silent film and what isn’t, but it was nice to see Chaplin making use of the more advanced audio-recording techniques that had become available after his last film’s release, 1928’s The Circus. It is fortunate that we are even able to see City Lights as we do today. Following the release of Al Jolson’s The Jazz Singer in 1927 (which featured large sections of synchronised audio, though was not entirely a talkie), the end of the silent era of films was put into motion. By 1931, when City Lights hit cinemas, the major studios had stopped producing silent films and were following the desires of the cinema-goers by producing talkies. 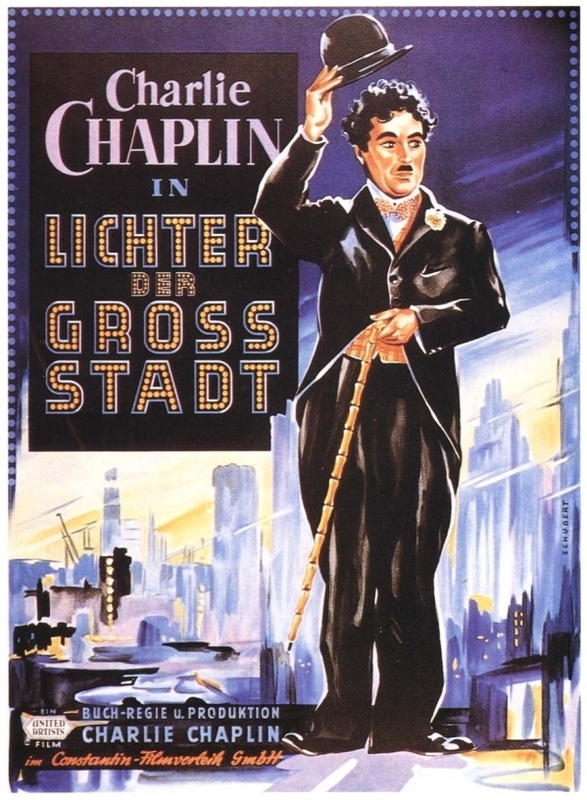 As Chaplin was the producer, writer, director and star, he was able to follow his instincts and released another silent film, a decision which was vindicated by the exceptional box office receipts (it turned a profit of around $3.5m, and was the fourth-highest grossing film of the year). It is somewhat strange that its popularity has maintained given it was technically behind the times upon release, though that is just a sign of its timeless quality. Speaking of timelessness, I found it remarkable how little the content of the film had aged. Indeed, I wonder how the top-grossing comedic actors of 2015 would handle the content of the film. With a blind woman as the main love interest, would Adam Sandler have been able to resist a cheap joke at the expense of her disabilities? Indeed, Will Ferrell touched on blindness in a sequence in Anchorman 2, which, whilst pretty funny, lacked a little tact. There is no suggestion here that Chaplin was going to undermine blindness – this woman is beautiful and that’s all that matters. There are some bonus features on this release, however they are limited to the DVD version as they are standard definition. I haven’t got to them yet, but they look interesting: video footage of Winston Churchill visiting the set, seven minutes of outtakes, an introduction by David Robinson (Chaplin biographer), a 26 minute documentary about the film called Chaplin Today: City Lights and a photo gallery. What I would say is this – the video quality on the Blu-ray is not so exceptional that there is no room left on the disc for the bonus features on the DVD, though I wonder whether this is more due to the source material than anything else. I plan to write a separate blog charting my frustrations with buying Chaplin in the UK, but that’s for another day. To summarise: I wish Criterion releases were cheaper to buy outside of the US. As a side note, I was looking for a featured image for this article and came across a wide variety of English-language and foreign alternative posters for the film. Some of them are really impressive and are a good indicator of how studios used their perception of the local markets to gauge the tone of the poster. The following is one I found from Germany that I found particularly interesting. City Lights is available to buy now on Park Circus dual format Blu-ray and DVD. I class any description that can be deduced from the DVD/Blu-ray box or trailer, or that only covers events in the opening sequence of the film, as spoiler-free.